A wonderful opportunity to own this completely custom home located in the upscale North Myrtle Beach community of Surf Estates. 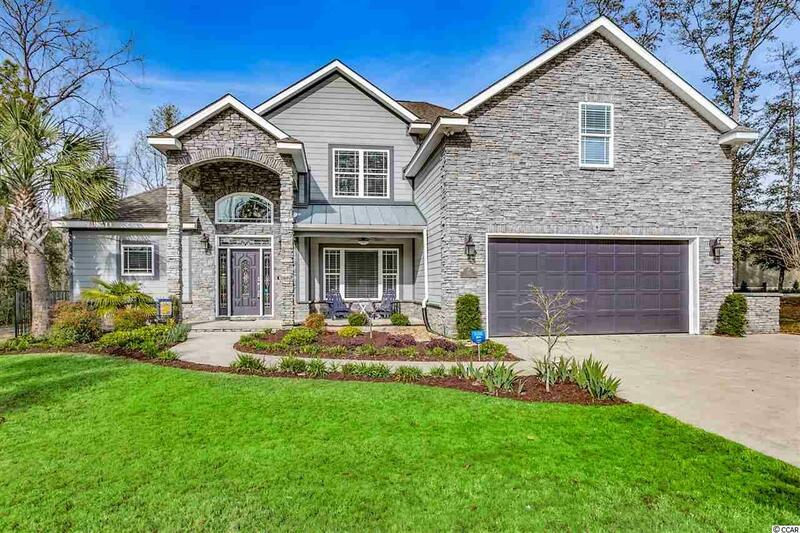 This 4 bed 3.5 bath home has all the upgrades. This home was designed for convenience, versatility and functionality. The attention to details start as soon as you walk thru the door. The over-sized master bedroom is located on the first floor, features tray ceilings with recessed lighting, sitting area with windows looking over the newly installed inground pool/spa. The master bath has a custom floor to ceiling tiled shower with body wash tower and built in seating. There is a separate bath tub for soaking, private commode room, dual sink vanities with granite counter-tops, a walk-in closet with custom built in shelving. The gourmet kitchen designed for entertaining. Appointed with custom cabinets with granite counters and top of the line GE Cafe stainless steel appliances, the natural gas stove has 6 burners and a center griddle. Below is a dual oven, one being a convection oven. The kitchen features a work island with sink, added wine fridge and large pantry for extra convenience. The common areas and bedrooms features premium bamboo floors, and tile in the kitchen, baths and laundry rooms. 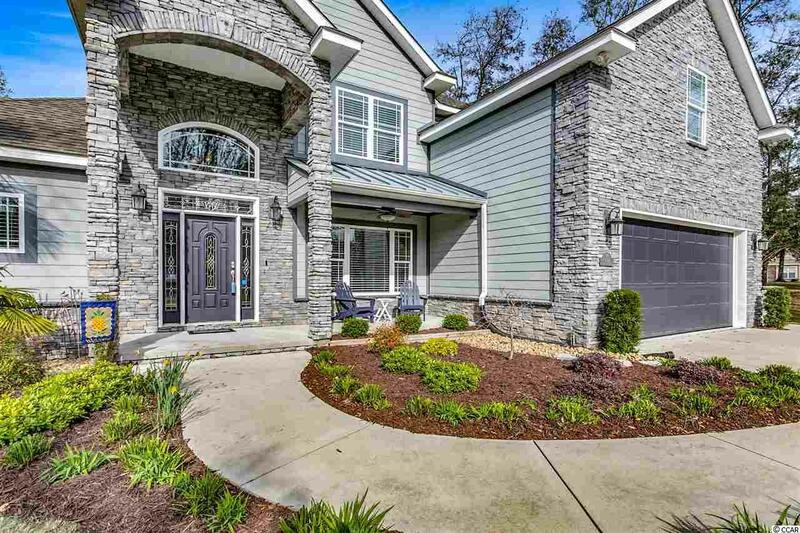 The final rooms on the ground floor are a great room with fireplace, with custom book shelves, vaulted ceilings, an office with floor to ceiling custom book shelves and a Carolina room that over-looks the backyard. 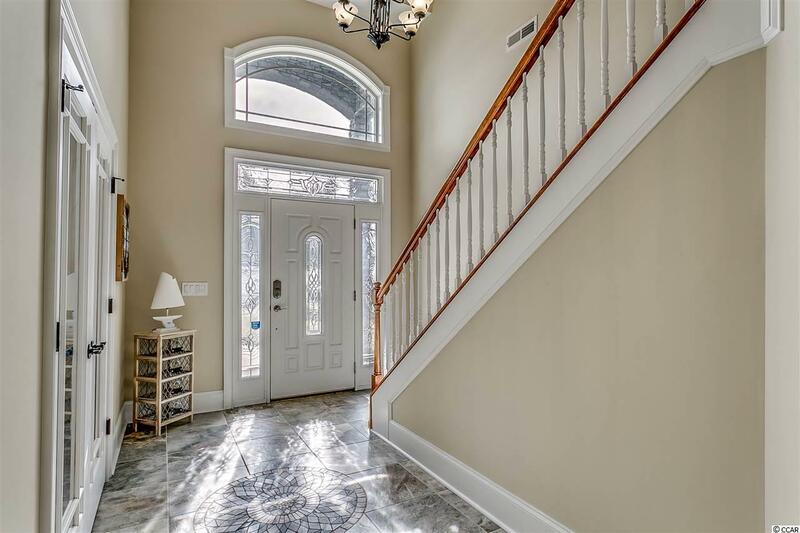 The second floor features the 3 remaining bedrooms and 2 full baths. One of the over-sized bedrooms has a separate wet bar and refrigerator with custom cabinets and granite counter-tops. Enjoy entertaining on the backyard composite deck spanning the entire length of the home including built in kitchen with Jenn Air gas grill. Don't forget about the new inground pool and spa. The home features a lot of storage, over-sized garage with work shop area, cabinets and the irrigation system on a separate meter. It also has many efficiency features like full LED lighting, a tank-less Rinnai water heater and dual zone HVAC system with "Nest" controllers. The heat is run off natural gas for added efficiency. Surf Estates is conveniently situated in a quite area of North Myrtle Beach close to shopping, fine dining, entertainment and the gorgeous Atlantic Ocean. 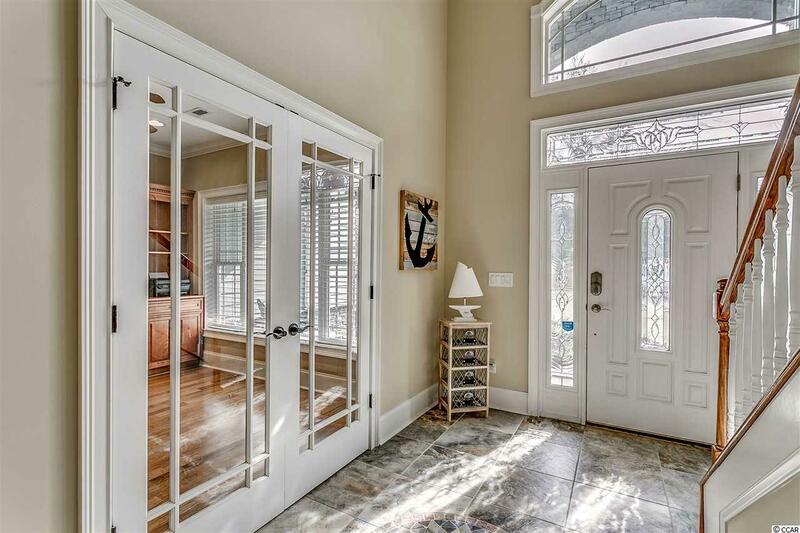 Don't miss out on this pristine home.